Insight in the course of your headaches. Also useful for the meetings with your physician. 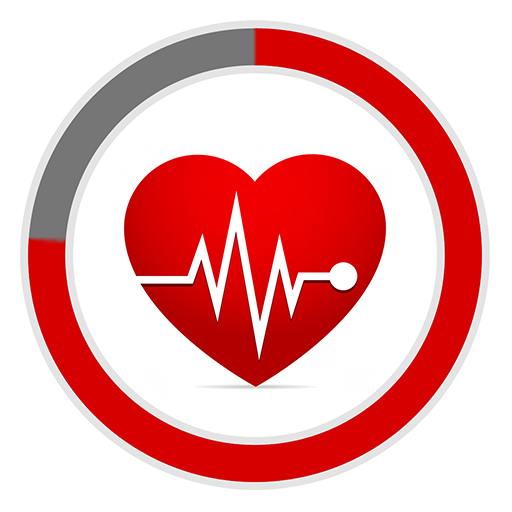 App created with input from patients and physicians. Do you suffer from mild or severe headaches, migraine, facial pain or cluster headache? 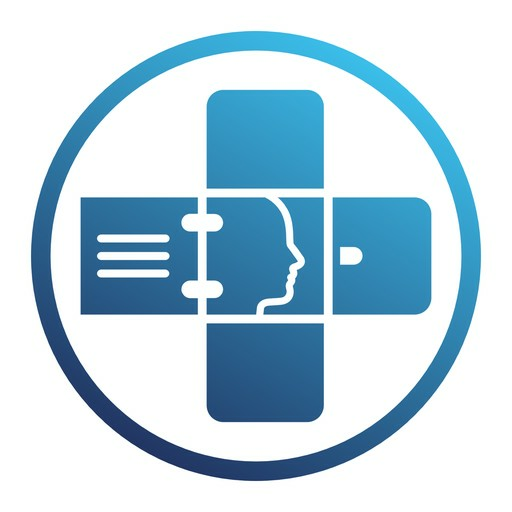 Headache Tracker is a digital headache diary that helps you to gain insight in your headaches and other symptoms. 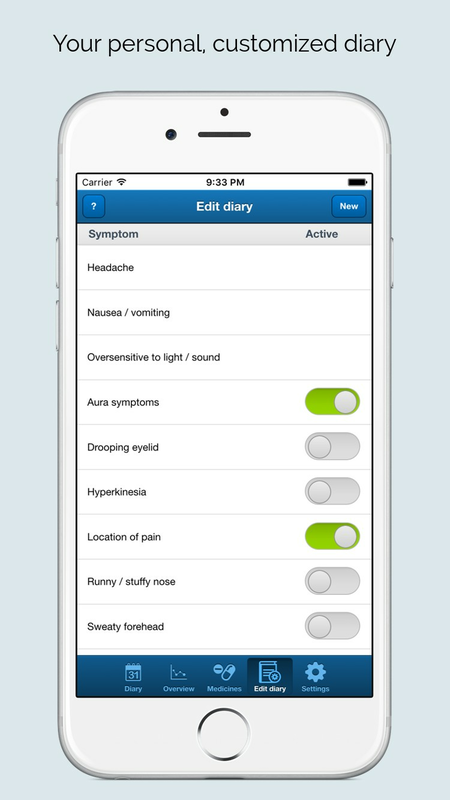 Tracking your headaches and medication is useful for your own understanding. It also provides information that your physician needs to diagnose (many physicians ask patients before starting treatment to fill in a headache diary!). Headache Tracker provides a list of common symptoms that you can track, such as headache, nausea, location of pain, worsening of pain when moving, etc. The default is based on the book "Everything about headaches and facial pain" of Prof. dr. Michel Ferrari and dr. Joost Haan. You also have the possibility to add personal symptoms or triggers that you want to track, which are specific and characteristic for you. 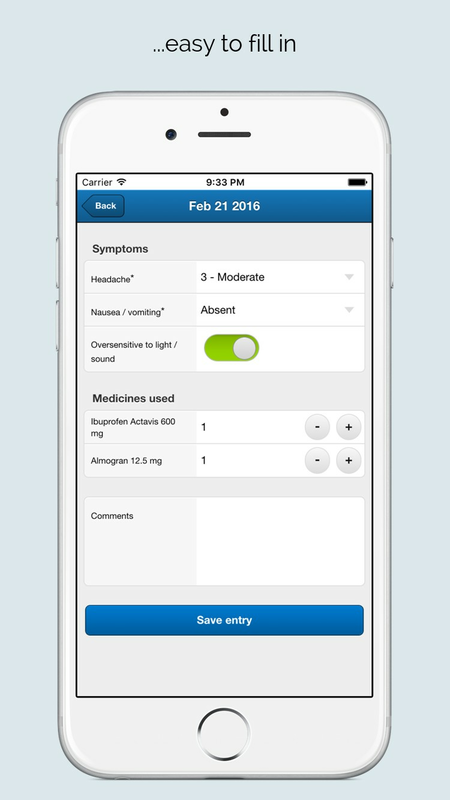 Headache Tracker allows you to keep a list of your medications. 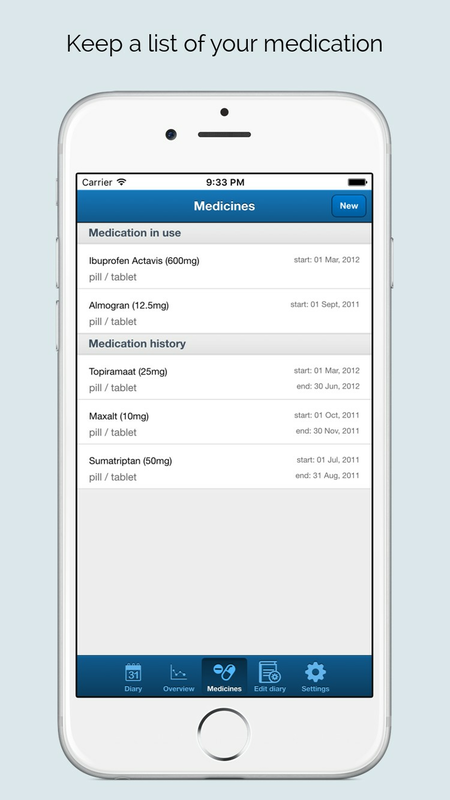 Even medicines that you have used in the past remain visible in the app. The medicines in your medicine list are reflected in your headache diary. You may view the scores for certain symptoms (such as headache and nausea) as a graph. In addition, the chart shows your medication usage. This gives you a good insight of your drug use in relation to your headache. It helps to prevent monitor and prevent too much medication intake. Your diary can be downloaded in PDF, printed and /or emailed. 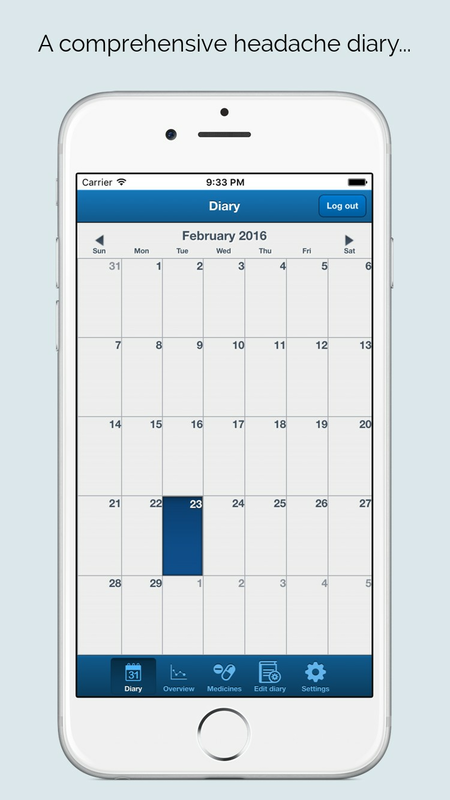 This way you can share diary data with your physician. You can fill in the diary on a daily basis, but you can also choose to fill in per day part (e.g. morning, afternoon, evening). This way, you get an even more detailed insight in the course of your headaches. Headache Tracker is using both the Dutch and English language. You can easily choose your language through the settings menu of the app. If you give permission, your diary data are made anonymously available for scientific research. In this way you contribute to a dataset that is used to learn more about common patterns, for example the correlation between headache and medication etc. 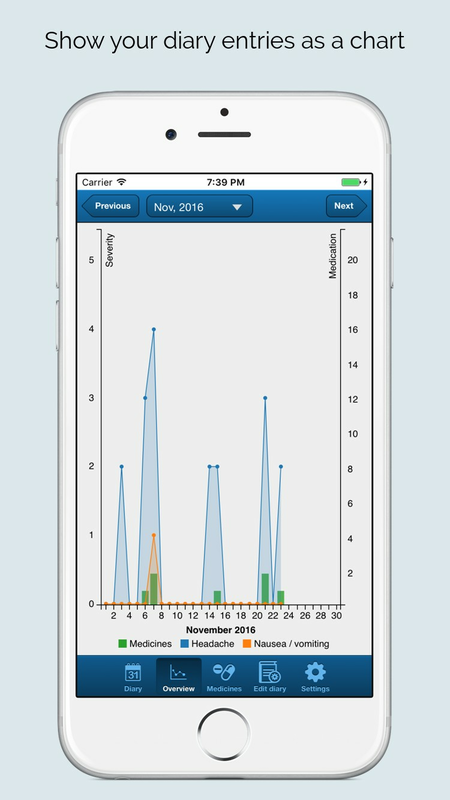 Headache Tracker is available for both smartphone and tablet.